Prof Alta Schutte, a biomedical scientist and research professor at the North-West University’s (NWU’s) Hypertension in Africa Research Team (HART), has become a familiar name in the international sphere of biomedical research of high blood pressure or hypertension. She boasts various accolades and achievements, and recently added another award to the tally. Prof Schutte will receive the African Union Kwame Nkrumah for Scientific Excellence (AUKNASE) programme’s regional award in Addis Ababa, Ethiopia later this month. It is no secret that everything she tackles in her professional career has to do with the scientific research of promoting a healthier lifestyle and eradicating hypertension, known to kill millions of people around the globe each year. This award is yet another example of her dedication towards her research. The AUKNASE programme, an initiative of the Commission of the African Union, focuses on to supporting and developing science, technology and innovation in Africa since 2008. The programme’s objective is to recognise top African scientists and researchers for their scientific achievements and valuable discoveries and findings. “It is a special honour for me to receive this award from the African Union, especially as it extends across all disciplines and age groups,” says Prof Schutte. 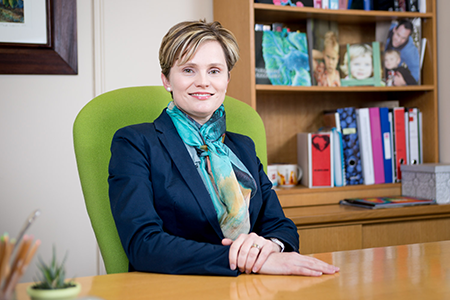 Prof Schutte’s academic career started when she obtained a PhD in cardiovascular physiology at the age of 24, working on dietary factors contributing to hypertension in black children and adults. During her doctoral studies and postdoctoral fellowship she obtained vast experience participating in epidemiological studies on hypertension in black populations in Africa and Aboriginal populations in Australia. These studies stimulated her interest in environmental exposures and how these may contribute to the exceptionally high burden of cardiovascular disease in Africans. Although she found this career phase challenging due to a lack of research experience, collaboration and internationalisation, local and international mentors provided much insight into what would be necessary to reach her goal of establishing a premier research centre for hypertension research in Africa. “The motivation for this research focus was due to a global analysis with 19,2 million participants that found that the highest blood pressures recorded worldwide were in Africa (Lancet 2016),” she says. As her research gained momentum, she was able to establish the NWU research entity HART as the founding director in 2008. In the following years the impact and quality of their research, international collaboration and the implementation of state-of-the art techniques in understanding cardiac and vascular health grew with leaps and bounds. Prof Schutte’s research is still continuing, and it is clear that hard work and a passion for her field of study contributed to the development of the knowledge about cardiovascular diseases available today. All of this aimed at promoting the health and wellbeing of people around the world. Prof Alta Schutte’s blood is pumping with passion in the fight against hypertension.